Writing an executive-level resume requires a unique approach. Here’s how to craft your experience and accomplishments into a resume fit for an executive role. Whether you’re already an executive, or you have your eye on a position in the C-suite, it’s time to make sure your resume reflects your career goals. Writing a resume at the executive level requires a different approach than writing a resume while you’re still in an entry-level or lower-management position. With an executive resume, the focus is less on your hard skills and more about creating a career story that will demonstrate how your experience has made you successful. J.M. 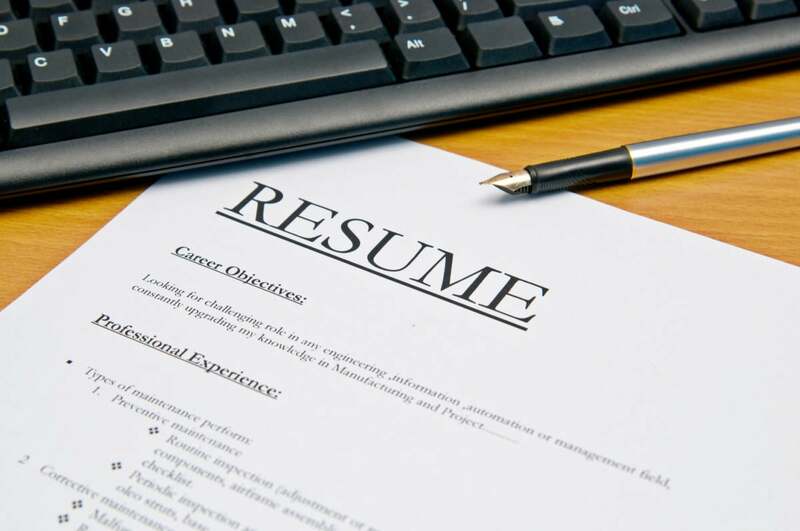 Auron, a leading global IT careers leader, resume writer and owner of Quantum Tech Resumes, offers five tips for writing an executive-level resume. Creating a cohesive career story on your resume is your first priority — and you can start by establishing a “clear distinction” between your responsibilities and your accomplishments, says Auron. It’s a common resume mistake to group your skills, accomplishments and responsibilities into one simplified list. To break past boring lists, Auron recommends the “CAR” method: challenges, actions and results. This strategy helps you look at challenges you’ve faced, describe the actions you took and identify the final results of your work. When you break down your experience in this structured format, it can help shape the narrative of your resume. You’ll also avoid repetition by grouping skills separately from individual accomplishments and job-specific responsibilities. If there’s one place where it’s socially acceptable to brag about yourself, it’s on your resume. And your executive summary is the perfect place to showcase what makes you the perfect candidate. When you started your career, there wasn’t a need for this type of summary at the top of your resume — because there probably wasn’t much to include. But after years in the industry, your executive summary should clearly explain who you are as a candidate and what you bring to the table. Everything that follows on your resume should reinforce the image you present in your summary. Your executive summary is typically located right at the top of your resume — and it’s where you will establish your executive image and brand. This summary gives you a chance to highlight your most impressive accomplishments and it should draw recruiters in to the rest of your resume. How you approach your executive summary is up to you — but take a look at other examples to get an idea of what makes a strong executive summary. Take a step back and look at any bulleted lists on your resume — start by eliminating redundant or repetitive information. Like with the CAR method, you’ll want to pull out accomplishments and responsibilities from any bulleted lists — these can be moved to your executive summary. There isn’t a one-size-fits-all format for designing a resume, but you can look to other professional resumes for inspiration. Once you find a design and format you like — one that is professional and easy to read — you should identify an overall theme for your resume. Your theme can revolve around your skills, the job title you’re aiming for or special projects and accomplishments you want to showcase. Creating a theme can help you figure out what you should move from bulleted lists to your executive summary, skills summary or individual work experience. Numbers and stats can’t lie — they help support the skills and experience on your resume and give recruiters hard evidence of your capabilities. Anytime you can quantify an accomplishment with a number, seize the opportunity. Whether you increased sales, decreased product defects, were promoted four times, created a process that improved productivity or kept within a certain budget while growing your department — if it looks better quantified than qualified, go for it. You might think you need to include every single job or project in your career history on a resume — either for transparency or to show there aren’t any gaps in work history. But when it comes to old, outdated career history and skills, let them go. “While it's important to provide a foundation for achievements, no one cares what you did 10 or 15 years ago,” says Auron. For example, your older entry-level jobs aren’t as relevant once you’re 10 or 15 years into your career. The same goes for skills that relate to legacy or outdated technologies. At the mid- or senior-level, hiring managers know you’ve already put in the entry-level work to get where you are. Plus, you want to make sure you avoid potential age discrimination, says Auron. He suggests axing everything on your resume from before the year 2000. However, there are always exceptions to the rules of resume writing. If you have a unique background that ties into your current professional brand, it might be helpful to include it. For example, in this resume makeover, the candidate’s past as a structural engineer created a “unique selling proposition” that set him apart from the competition. Resume writing isn’t easy — and it can be incredibly difficult to objectively view your own work history. Hiring a professional can help you step back and make sense of your career trajetory. “I know this may sound self-serving, but writing a resume is a complex and difficult project. It's not something you do every day, so offload the challenge to someone who does do it every day,” says Auron. If you can’t afford a professional, see if you can find a friend, mentor or past colleague who might be able to help you gain some objectivity while writing your resume. You can even try reaching out to coworkers or colleagues you’re comfortable discussing your job search with to see if they can refresh your memory on past accomplishments. Sometimes just getting an outside perspective on your career history can help give you more insight into what to include on your resume.